Are you in the market for an iPod repair? Then the team at Phone Ninja have the training and wisdom to help you out. Servicing our Perth Western Australian clients we have built a reputation for being the iPod Touch fix centre of choice. So whether you have a iPod Touch 6th gen, 5th gen, 4th gen , or even older generation, our stores in Perth WA have a solution for you. So you have a broken iPod? Drop down to our stores in Perth West Australia or contact us. Ninety percent of all iPod touch issues are simply smashing the glass screen. Usually the glass is broken due to being dropped or pressure being applied. iPod screen repair is a simple and fast repair that requires replacing the touch screen and LCD frame. Contact us to see if we can swap your screen on the spot. Screen issues are another example of iPod Touch problems where the part of the screen that makes picture is damaged. Common symptoms include the white screen of death, dead pixels, dullness, and patchwork displays. Why trust online how to fix a iPod Touch guides when you can have your iTouch screen replacement professionally done at our stores in Perth West Australia for a minimal fee. When a iPod battery fails the most common symptom is a short battery life often lasting only a hour or two. Sometimes however the iPod wont turn on which can also point towards a dead battery but can also be other issues. Other symptoms include when the device turns off immediately after removing it from the charger, failing to charge fully, and not charging at all. Whatever your issue bring your iPod down to our stores. 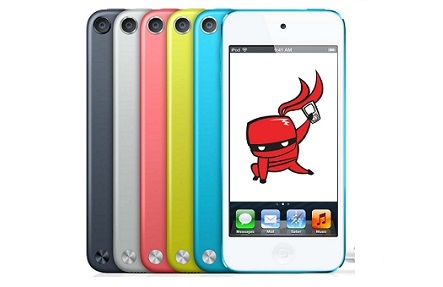 One of the most difficult iPod touch repairs we perform is water damage removal. While difficult you can vastly improve your chances of repair by turning the device off, drying the iTouch with a towel and bringing it in to us as soon as possible. From here we’ll clean out your device and look for any damage the water may have caused. Other symptoms include when a iPod touch won’t turn on, headphone jack problems, and charger ports that need replacing. The iTouch essentially packs the goodies of the iPhone into a multimedia device. It allows games, movies, music, web browsing, email, and apps to be used in a profile that will slip into the pocket of any hipsters skinny jeans. So far Apple has released four generations of iPod Touch. The first generation was launched on September 2007 featuring Wi-Fi and a multi-touch LCD. The 2nd Gen was slimmer, more rounded, and addressed some of the shortcomings of the first gen device with a built in speaker, and external microphone. The 3rd Gen iTouch had the same treatment as the iPhone 3Gs with faster processors and 256 Mb of memory. It was available only in 32GB and 64 GB models. The 4th Generation aka the 4G hit the market on September 2010 adding a front camera for FaceTime as well as the iPhone 4’s retina display which displays at a higher resolution than the eye can see. Improved Video and Camera features were also added recording in HD 720p resolution and snapping crisp 960×640 still images. A Cheaper 8GB model was also reintroduced. Copyright 2014 Phone Ninja, All rights reserved. All other trademarks & copyrights are owned by their respective owners. We are an independent phone repairer and not affiliated with Apple Inc. in anyway. All our Apple and iPod repairs use compatible or refurbished parts only. None of our repairs, products, or parts are official nor endorsed, authorized or refurbished by Apple or iPod.